2018 - Gila River tribe near Chandler, AZ installed 100 Greenshine Lumina, Supera and Brighta solar street lights throughout their residential neighborhoods. 2017 - Palomar Hospital in Escondido CA installed 50 Brighta 40 solar parking lot lights in their employee parking lot. By avoiding trenching across a main road to the nearest power source, Palomar saved over $500,000 upfront. 2017 - Danville installed Litas around City Hall on a one mile walking trail. The new solar lighting allows their residents to exercise in the evenings. 2017 - Town of Mammoth College solar pathway lights configured for cold weather conditions. 2018 - The city of Austin TX and surrounding areas are experiencing significant growth in the development of residential communities, particularly in locations with deregulated utilities. Greenshine has partnered with KB Home to provide our decorative Lumina80 solar street lights for many new residential communities. 2017 - Mojave Air and Space Port installed 30 Greenshine IDA Brighta 30 solar lights along Airport Road. 2018 - Having a well-lit environment is critical to the interactions between customers and businesses. Good lighting not only brings safety to the area, but it also makes the property more attractive. 2019 - The Brighta and Supera Solar Light Fixtures Worked Perfectly for the Finishing Touch for this community. 2015 - Both the residents and the project managers are satisfied with the results—residents can see their mail well enough in the dark and the new housing avoided paying several thousands of dollars to dig trenches. 2018 - Camp Villere found Greenshine’s solar options and chose our Brighta 30U solar lighting fixture, a staple in our product line and a qualifier for the “Buy American Act”–perfect for their needs to light the bridge. 2016/19 - Greenshine worked with an 8A Prime Contractor to install 45 Lumina30 lights for perimeter security lighting throughout the Officer's Quarters. 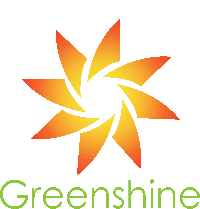 2018 - You’d be surprised to find out how many times Greenshine’s products have deterred crime and theft. That’s just the case with Lake Elsinore Public Works. 2017 - Loves Logistics, a trucking corporation in Kingman, Arizona was in a bit of a pickle with the lighting project they needed to use for their truck offloading area. 2015 - Greenshine yet again found a solution for lighting the prestigious fighter jets. 2014 - Greenshine designed a lighting system from the ground up that used 4 solar-powered 60W flood lights that were centrally located inside a parking canopy. Please leave your message below and one of our lighting experts will get back to you within 24 hours.